Due to the warm winter in the Pacific Northwest many of the peaks are opening up early. 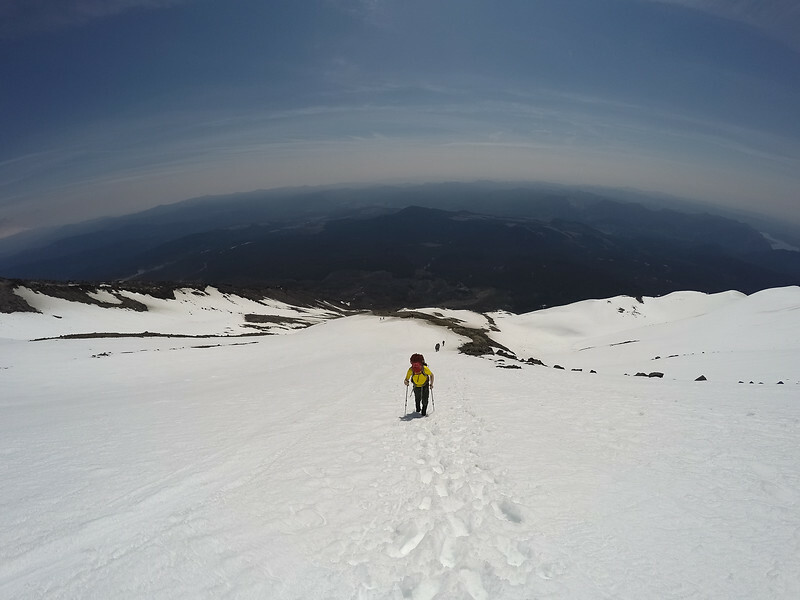 I knocked out my 3rd summit of the year at Mount St. Helens. You can summit St. Helens as a long day hike. It takes approx. 9-10 hours with 12 miles of hiking and 6,500 feet of elevation gain. For this trip I only took my Go Pro to keep the pack light. With a 10 pound pack this summit is fairly easy.